Do you love subscription boxes? Okay, honestly- who doesn't? Getting a fun package in the mail each month? Getting to try great new products? What's not to love?! Oh, that's right, the price! Don't get me wrong, there are plenty of reasonably priced subscription boxes available, but personally, I'm quite...well, let's just be honest...I'm cheap! I don't want to spend money for something I may or may not like. I'm a try before I buy kinda girl! If that sounds like you too, I have a great service to introduce you to: PINCHme! 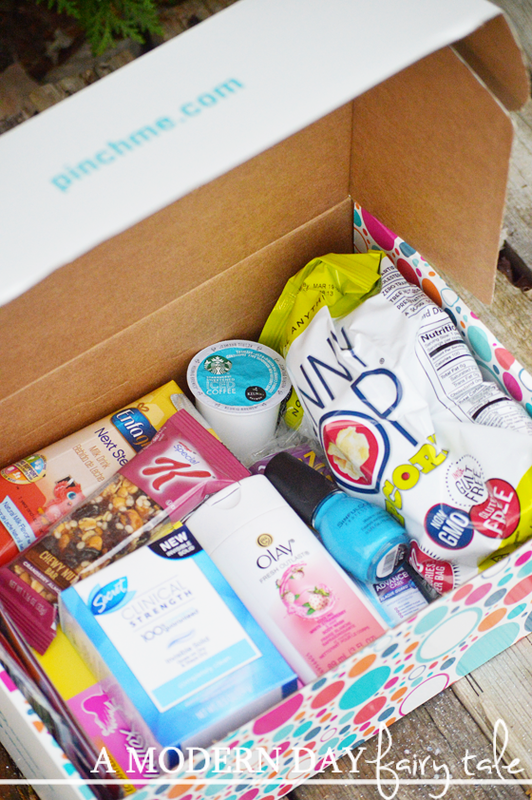 PINCHme is a fantastic subscription service that allows you to sign up to receive FREE samples delivered to your door every month! A FREE subscription service? Sounds to good to be true! What's the catch? Okay, there is one small thing- they DO ask for your feedback for the products you receive... but that's easy enough! You get to try great products with no cost to you! Awesome! And you get to choose the samples you want, so there's no clutter of items you won't use and no spending time providing feedback for unnecessary items! So, what type of samples are available? I received a bag of Skinny Pop Popcorn, Secret Clinical Strength Deodorant, Sinful Colors Nail Polish, Starbucks Iced Coffee K-Cup, Olay Fresh Outlast Body Wash, Special K Chewy Nut Bar, Playtex Sport Combo, Enfagrow Next Step Milk Drink, Act Advanced Care Mouthwash, Gold Bond Ultimate lotion, plus some smaller samples and coupons too! So much fun stuffed packed into this box!! And the samples change every month! So, if you miss Sample Tuesday, or find nothing you like that month, you can check back again later! Ready to sign up? Go here and get started! 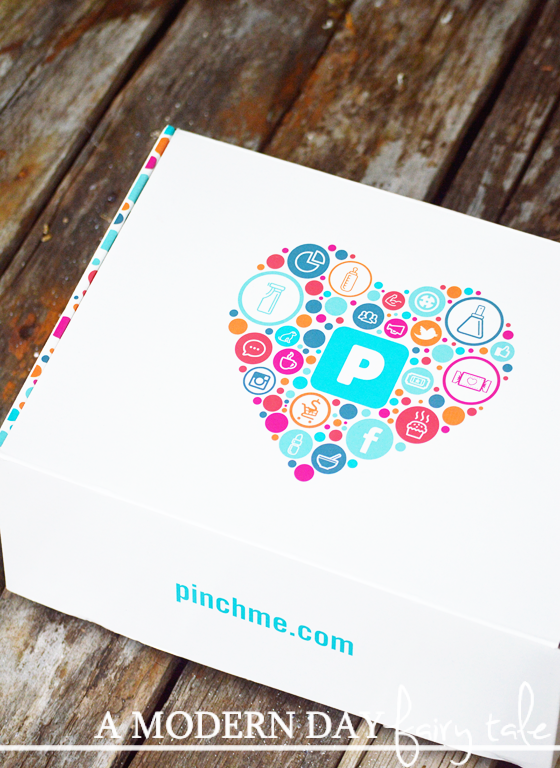 And don't forget to connect with PINCHme on Facebook and Twitter too! And in addition to their monthly samples, they're also having an AMAZING sweepstakes!!! One lucky winner will win a $1000 Holiday Shopping Spree with a gift card of YOUR choice! Awesome, right? ENTER HERE! Love them!! I never get in on their samples quick enough tho!! Ill have to try again next month!! I have entered their sweepstakes though!! How amazing! !